The contract was given to Dubai Contracting Company, but not value was disclosed. 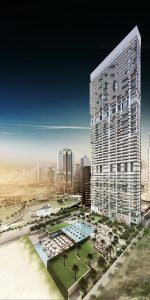 The enabling work on the 46-storey tower– being built on the last piece of land in Jumeirah Beach Residence – commenced in March 2016. The average price for two-bedroom apartments starts at $1.47 million (AED5.39m), according DP officials. 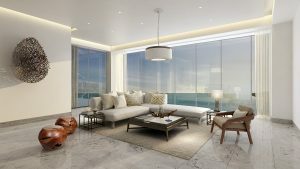 Sotheby’s International Realty, on its website, also lists a two-bed unit in 1/JBR at $1.47m (AED5.39m), or $526.53 (AED1,934) per square feet (psf). A three-bed unit is listed at $2.26m (AED8.29m) or $700.50 (AED2,573) psf, while a four-bed apartment is priced at $3.31m (AED12.15m) or $1032.10 (AED3,791) psf. The costliest unit, however, will be the 8,611-square feet penthouse, with company officials refusing to disclose the price. 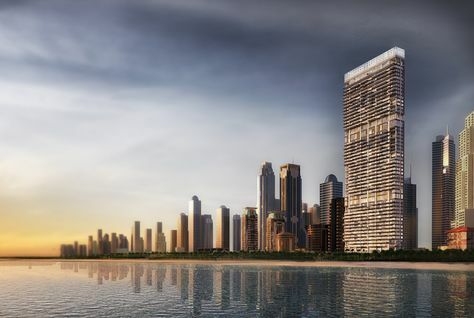 Currently the costliest penthouses up for sale in Dubai are located Al Habtoor City at $57m (AED209.84m) and One at Palm Jumeirah for $ 49.28m (AED181m). Masood Al Awar, chief commercial officer, Dubai Properties, said work on the project has commenced only after getting the nod from the Road and Transport Authority and other authorities. “Sales are going well and there is ‘high’ demand for luxury properties,” he added. Though there have been conflicting reports by international and local property consultancies painting a picture of price recovery and declines, a report by Warburg Realty, Barnes International Realty and Wealth-X last month placed Dubai in the list of 50 “most desirable cities in which to buy high-end homes” for ultra high-net-worth individuals.